Discover this fearless Assassin who fights during the Spanish Inquisition. 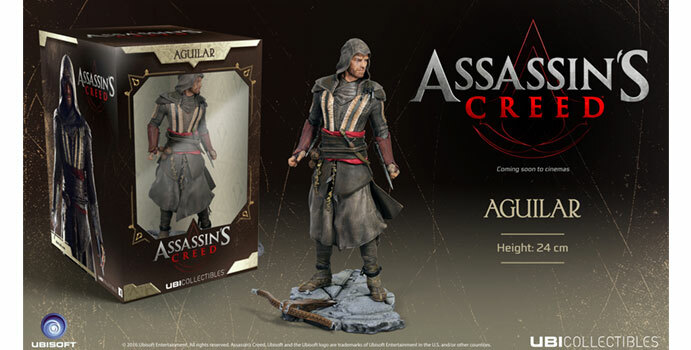 This figurine comes with the traditional Assassin outfit including 2 Hidden Blades. Aguilar is a warrior in 15th century Spain, during the Inquisition. An Assassin who fights for freedom against powerful forces seeking to eradicate it, Aguilar possesses incredible Parkour fighting abilities. 500 years later, Aguilar’s memories continue to exist within his descendant Callum Lynch. Once unlocked, Callum experiences these memories in the present day, allowing him to re-live Aguilar’s thrilling adventures, while acquiring his ancestor’s powerful skills. Highly detailed figurine enhanced by a set of discernible textures. 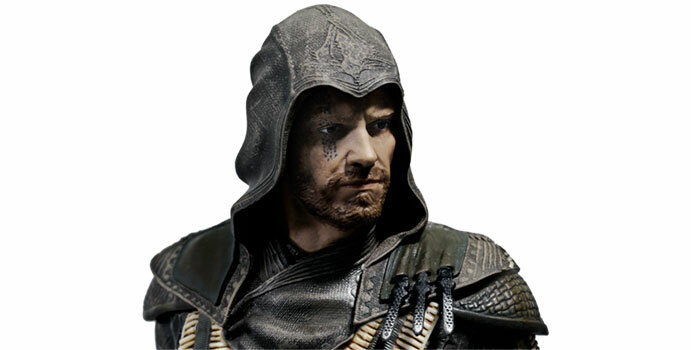 Combine it with the figurine of Maria to form a unique Assassin’s Creed Movie diorama.